LITTLE ROCK, Ark. — A circuit judge in Arkansas has declared the state’s marriage amendment as being unconstitutional. Piazza was referring to Arkansas Constitutional Amendment 3, which was passed in 2004 with 75 percent approval from voters. 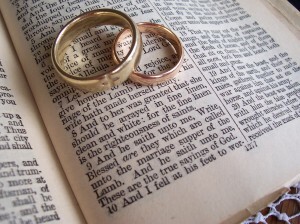 “Marriage consists only of the union of one man and one woman,” the amendment reads in part. In issuing his ruling, Piazza pointed back to a 1967 Supreme Court ruling that overturned bans on interracial marriage. As Piazza did not issue a stay pending appeal, a number of homosexuals lined up at city hall locations throughout the state to obtain “marriage” licenses. But Aaron Sadler, spokesperson for Arkansas Attorney General Dustin McDaniel, vowed to appeal the ruling, stating that failing to issue a stay could cause chaos should the decision be overturned. Jerry Cox of the Arkansas Family Council likewise lamented the decision, issuing a statement about the matter. Arkansas is the latest of a number of states—including those in the Bible Belt—that have lost challenges to their marriage amendments, such as in Texas, Virginia and Oklahoma.